View all Duggan homes for sale here. The average sale price for a home in Duggan last year was just under $400,000 at $394,959. That selling price value is based on a single family detached home, in effect no duplexes or condos are included in this average. Duggan has sold for higher on an annual basis in the past. In 2007, property values in Duggan reached $419,866. Going back to 2005, Duggan has seen property values appreciate by a healthy 79%. In 2013, the highest selling price for a home in Duggan was $480,500. The most affordable home in Duggan sold for $315,000 last year. The average time to sell a home in Duggan in 2013 was a fast 29 days. The Edmonton average days on market last year for comparison was longer at 44 days. 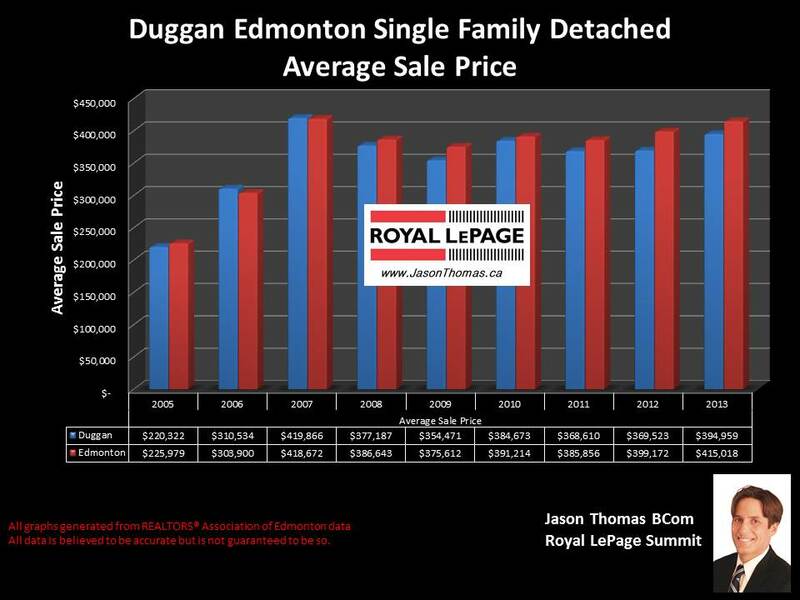 Looking at just the last 90 days, the Duggan average sale price for a single family detached house is $380,000, with an average days on market of 26. The average selling price for a condo in Duggan last year was $184,536. The average time to sell a condo in Duggan in 2013 was 41 days, which was faster than the Edmonton average days on market for a condo which was 57 days. The condo complexes that had units sell in them last year include: Peace Grove Estates and Garden Grove Village. The highest price that a condo sold for in Duggan last year was $225,000. The most affordable condo unit in Duggan had a selling price of $136,500 in 2013. In the last 90 days, the average selling price for a condo in the neighbourhood has been $169,250. Visit Edmonton home prices by neighbourhood for more stats on this south central neighbourhood and other areas of Edmonton. If you are interested in a professional no obligation market evaluation on your home click Duggan homes for sale.